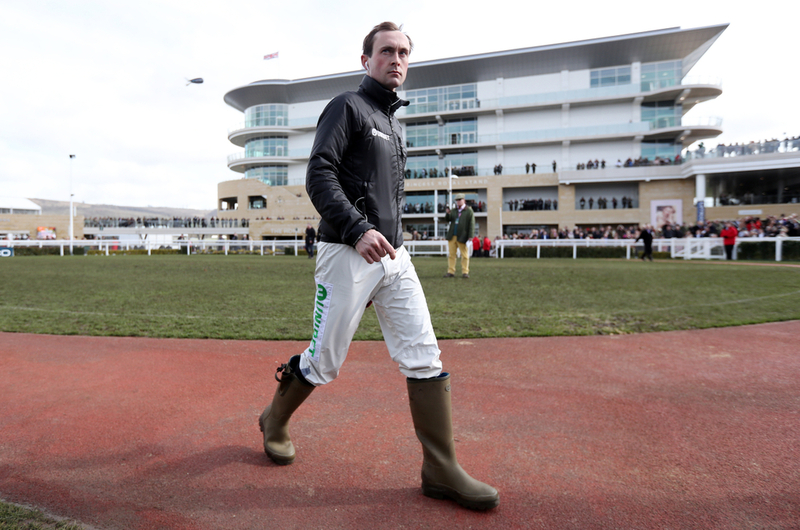 Leading jockey Nico de Boinville is set to pick up the ride of Step Back for the 2019 Randox Health Grand National and Sara Bradstock, Wife of the horses trainer Mark Bradstock, says she hopes that the jockey can be the man to land the £1 million prize for the yard. Trainer, Bradstock has been pleased with the progress his nine year old has made this season especially recently when schooling well over mock National obstacles last week under the horsemanship of de Boinville. The jockey has great memories when teaming up with the yard after taking the Cheltenham Gold Cup back in 2016 on board the Novice Coneygree and they will be hoping to pull off a similar landmark at Aintree with Step Back currently best priced at 33/1 in the betting markets. The gelding has only had two starts this season and although not being that impressive on both his outings so far this term his final race of last season is what his yard hopes he can live off when winning the 23 runner bet365 Gold Cup at Sandown. 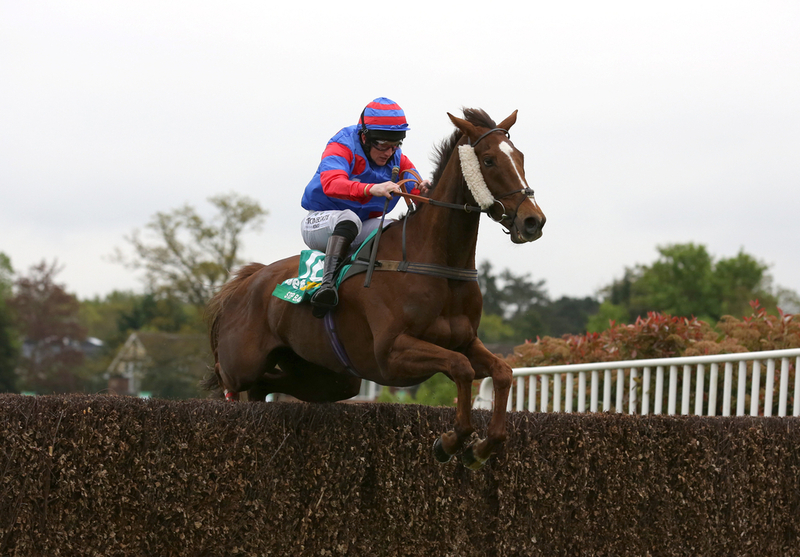 (Credit Racing Post) Bradstock said: "We've been up to school over the National fences and all went well. "I doubt we'll do it again because he jumped them so well. "He hasn't had his ground this season. Chepstow was too fast and that makes his right-handed bias bigger and he jumps badly right. "Nico wasn't too hard on him and then the Classic Chase at Warwick was very frustrating because he lost a shoe and, as I've said before, he's got horrible feet, so losing a shoe would be a big drama." The trainer added: "We were thinking of running Step Back again but he needed his flu jab and he's rated over 145, so there aren't that many races for them anyway. "He's always a worry because of his appallingly delicate feet, but he jumped the National fences well and had a gallop at a point-to-point course last week and did that well too. It's all systems go and Nico will ride. He won a Gold Cup for us so he can now win the National - why not?" Bradstock admits however, that the the 40 runner field and the bunched upstart and claustrophobic nature of the race will not suit his nine year old and explained: "It's so much more of a lottery. You know if you've got your horse in great nick going into the Gold Cup you've got the chance you have, but in the National you've got to keep out of trouble. "I think Step Back is the right type to jump the fences and keep going – he's got incredible stamina – but my only worry is he's not very big and I don't know if he'll cope with the cavalry charge of 40 horses at the first. "It might frighten him a bit, but there's nothing we can do and he's either got to man up and cope or not! We'll probably stay out wide to keep out of trouble to begin with and then hopefully work our way into it and be handy because he really does keep going." The Cracker And Smodge Partnership owned gelding is now rated 147 which is 12lb higher than the figure he landed the bet365 Gold Cup off, but Bradstock added: "I'm certain he can win off this mark and David Bass said he felt very good at Warwick and was just unable to change out of second gear because of his foot."